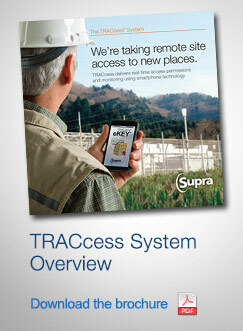 Click the links below to learn about the outstanding advantages the TRACcess® system can provide for your operations. Control and monitor site access for multiple remote sites, all from one central location. Monitor remote activity in real time and know whether or not service technicians have accessed your site. Admit authorized vendors to the site without paying a staff member to be present. Verify authorized visitors, such as service techs and vendors, and prevent alarms at remote sites. ​​​​​​​​​​​​​​​​Put TRACcess to work for you.